Julie earned an BBA from the University of Michigan-Dearborn majoring in Marketing and Management. After opening her first successful business at the age of 23, a yoga studio in Birmingham, Michigan – she took a brief hiatus to raise her now 7 year old daughter, Stella. 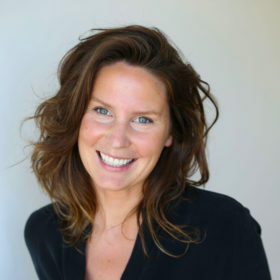 In 2010, along with her 3 sisters Cait, Jessie & Jenny, Julie co-founded the midwest’s first raw organic juice company, DROUGHT, which now has 5 brick and mortar locations, a wholesale line and USDA organic certification. With a focus on retail experience, marketing and branding – Julie focuses her daily operations in the customer’s interaction with the brand. In December 2016, Julie was selected to be an Endeavor Entrepreneur.